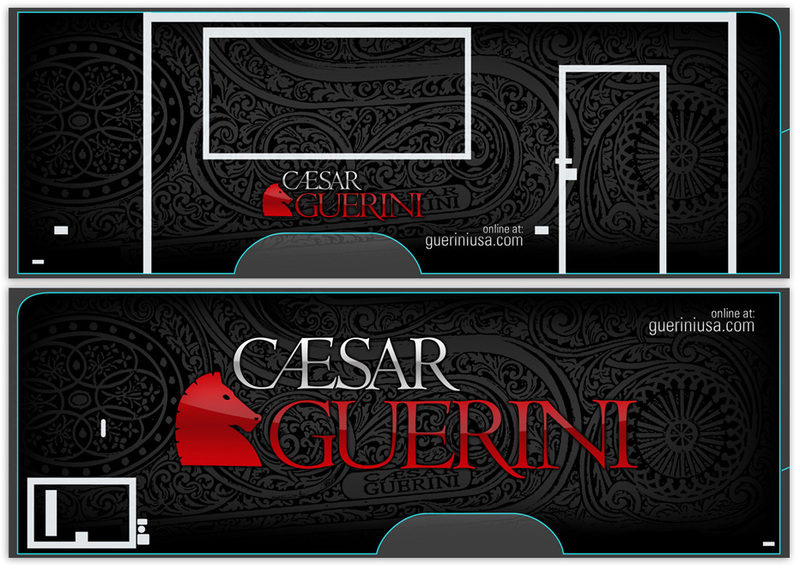 Caesar Guerini attends several outdoor events each year and needed a graphic wrap designed for their new 40 foot trailer. 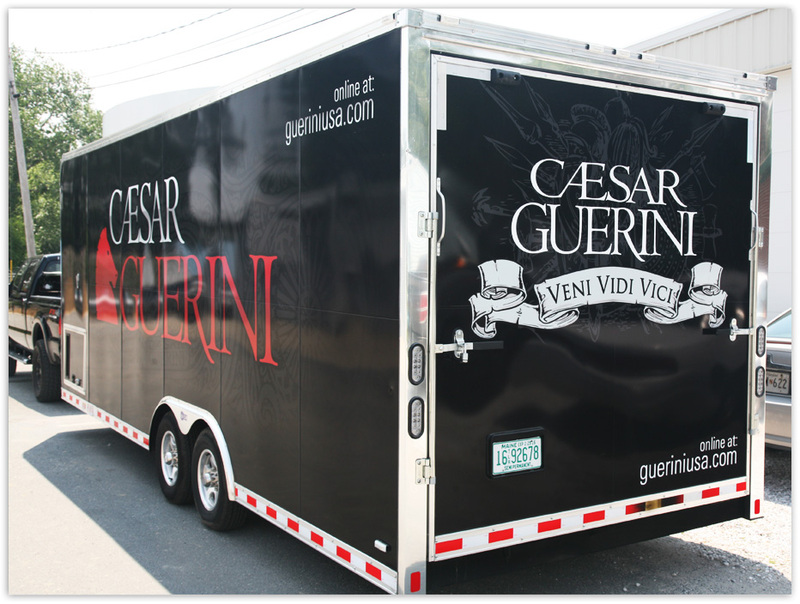 Using a combination of subtle engraving close-ups and a glossy variation of their logo design – the idea was to make something that would work seamlessly with the gloss black trailer paint. 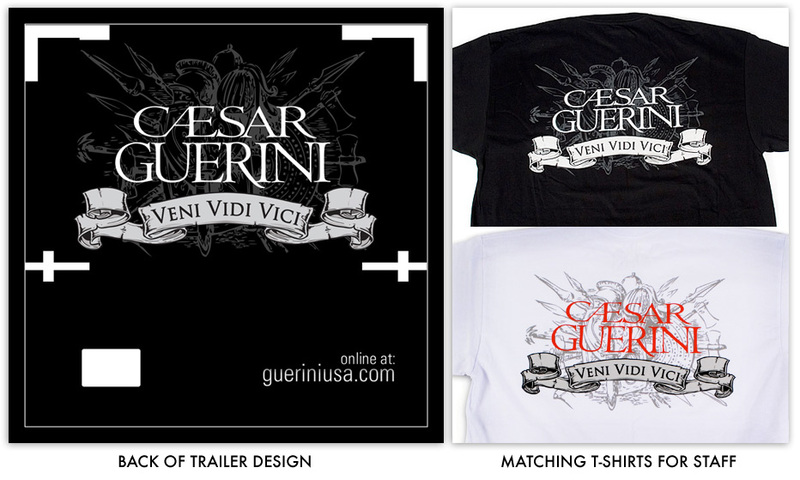 For the back of the trailer design we re-purposed my Veni Vidi Vici armory and banner t-shirt design which also worked well as matching t-shirts for the staff on hand at the events.